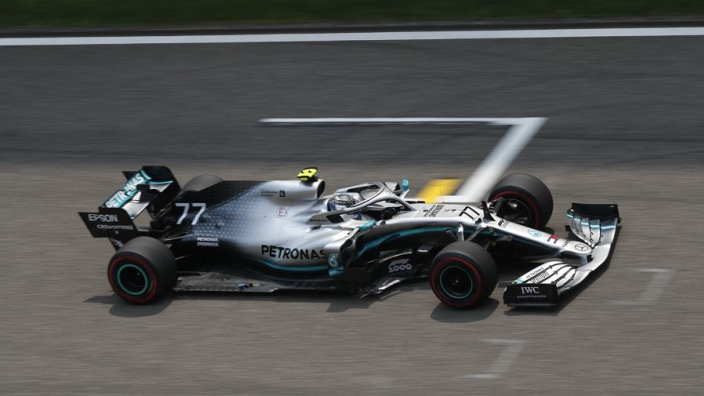 Valtteri Bottas will begin the 1000th World Championship race on pole after a brilliant performance in qualifying for the Chinese Grand Prix. 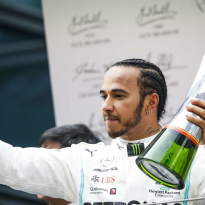 The Finn edged out Mercedes team-mate Lewis Hamilton, having shown better pace than the world champion all weekend. Ferrari had been expected to hold a distinct advantage on Shanghai's long straights, but they were no match for the Silver Arrows. Bottas topped FP2 and FP3 and showed fine pace through all the qualifying segments, taking pole from Hamilton by 0.023 seconds with a lap of 1:31.547. 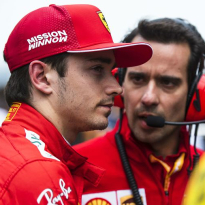 Sebastian Vettel and Charles Leclerc will fill the second row, hoping to show greater race pace, having struggled through Saturday. 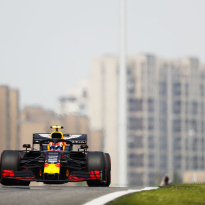 Max Verstappen had the Red Bull between Ferrari at points in qualifying but will start fifth after running out of time to set a final flying lap in Q3, with teammate Pierre Gasly alongside him on row three, having made Q3 for the first time this year. Row four is all Renault, with Haas rounding out a Noah's Ark top 10. Only 19 drivers took part in qualifying, with Alexander Albon missing out after wrecking his Toro Rosso at the end of FP3. McLaren have looked on good pace so far this season but both Carlos Sainz and Lando Norris dropped out here, with Sergio Perez and Daniil Kvyat eliminated along with Kimi Raikkonen, ending F1's longest run of Q3 appearances, which had gone back to Hungary 2016! Antonio Giovinazzi joined Albon in not setting a time after suffering a power unit issue. Lance Stroll failed to make Q2 for a seventh race in a row, with the Williams pair also dropping out, albeit closer than in previous races – a second off the Racing Point.